To Life! 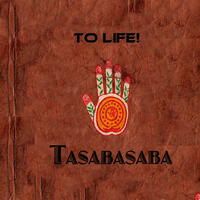 : Music as a journey through tribal landscapes, rhythmic dance, hypnotic trance.. 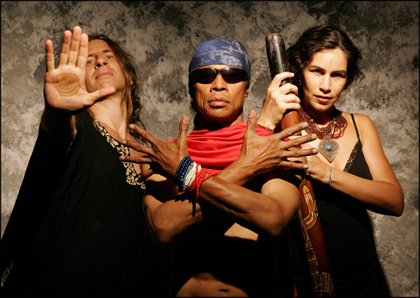 The 3 members of OJOLO share a love for tribal, shamanic trance music, and the hypnotic dance rhythms from around the world. OJOLO Is a multi-cultural trio; an Israeli goddess on Didjeridoo and percussion, an African/Asian man on djun djun drums, and a Greek/Canadian man on guitar and electronic loops. 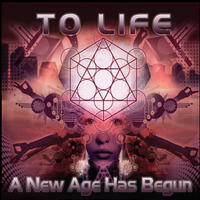 Together they produce a vibrant, trance/dance inducing tribal sound. The music is inspired by primal rhythms,and by the diverse traditions (North African, Middle Eastern, etc.) that band members bring to the stage and to the dance floor. Influenced by the music of North and West Africa, the Middle East, the nomads and gypsies, as well as the rock, funk and dance music of the West, 'OJOLO' have created a fusion that is both fresh and familiar. One observer describes the music of 'OJOLO' as "...new music from our cellular memory..." Audiences become exuberant, inspired, and positively funky. OSHER, (Didjeridoos, Vocals, Percussion) has collaborated as a performer, recording artist, and instructor with artists including Zap Mama, Jai Uttal, Cirque de Soleil and Lost at Last. Raised in the desert of the Middle East, she brings with her a deep desert nomadic presence. LO, (Djun Djuns, Vocals, Percussion) has travelled , studied, and collaborated with indiginous cultures of Africa, the Phillipines, Cuba, etc., and provides the driving, relentless rhythms that give 'OJOLO' its primal, shamanic backbone. Listed as one of the "Top 15 Releases of 2009" in the 'World Music' category by Backroads Music/Lloyd Barde Productions. KPFA "Music of the World"
To Life! lives in California, USA. Tagged as: World, New Age, African influenced, Arabic influenced, Didgeridoo, World Influenced.